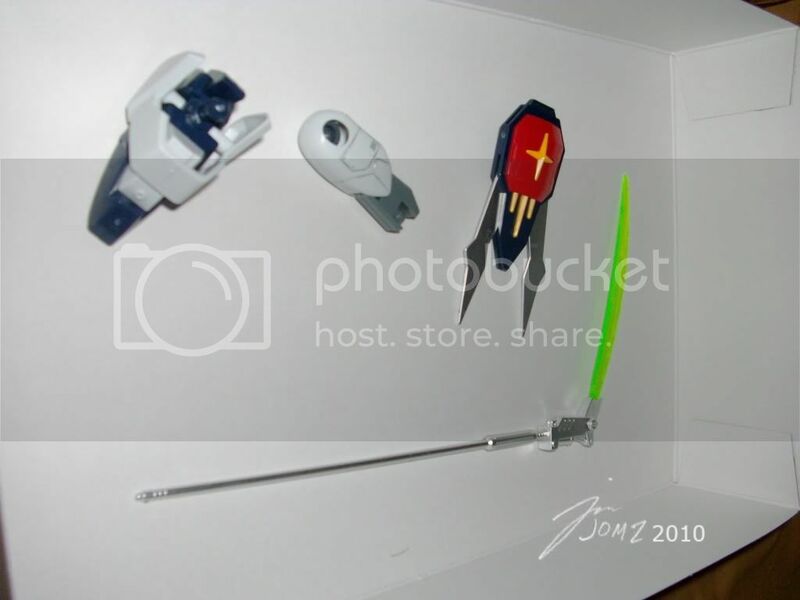 I managed to obtain the Gundam Deathscythe 1/100 HG model today. 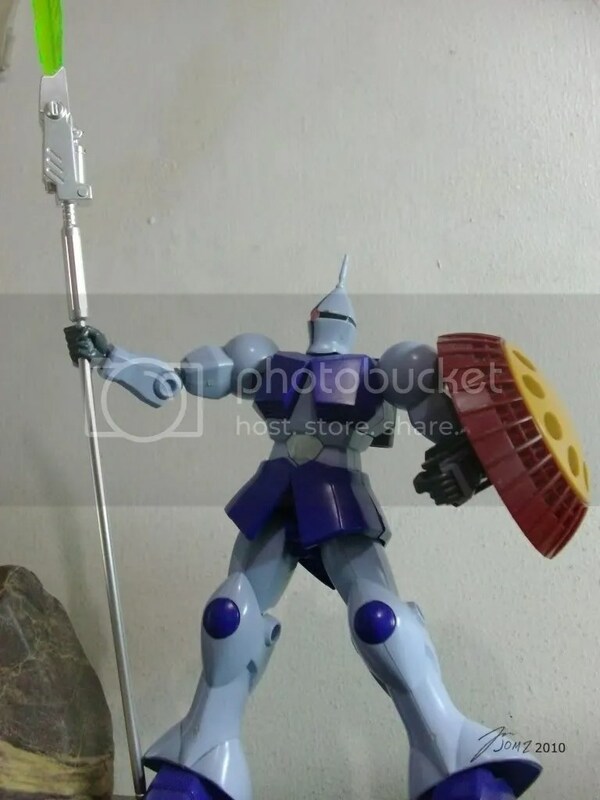 Although I was not yet able to completely assemble the unit, heck I only managed to build these few parts for I was already tired and sleepy when I began building. Though if it were up to me, and not the time, I would have finished, or tried to finish everything in one go. However, since I began with the weapons – to give myself a feeling of accomplishment, I tried to use it as a prop for my existing Gyan 1/160 scale model – which is from the original Mobile Suit Gundam series. 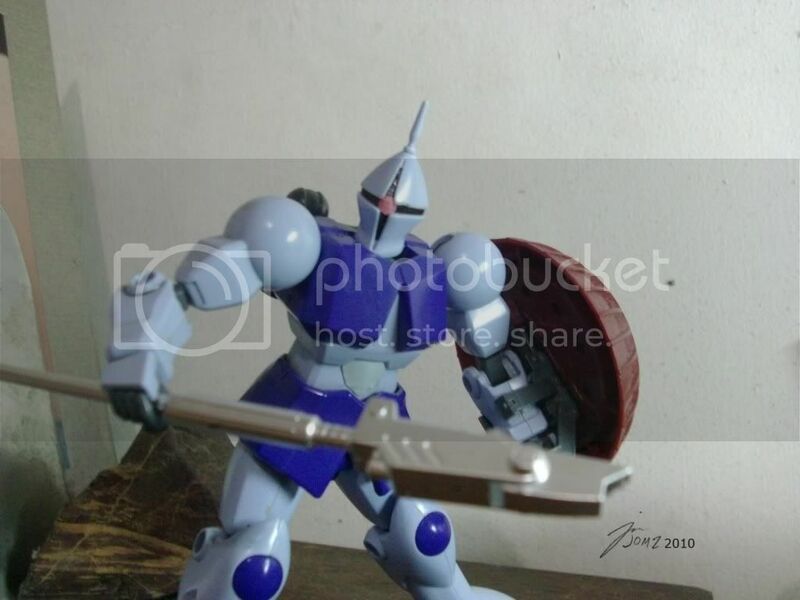 Lancer Gyan. 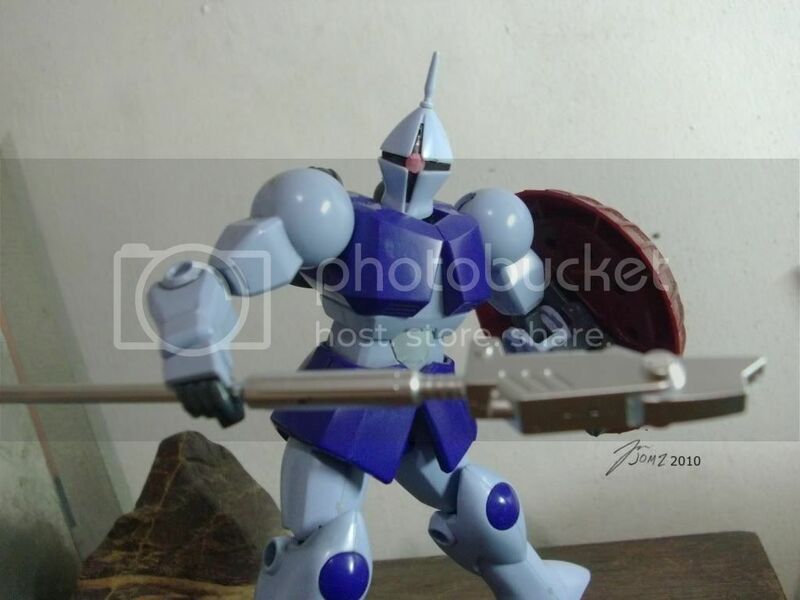 Hey the Gyan looks like a knight, so why not convert it to a lancer? 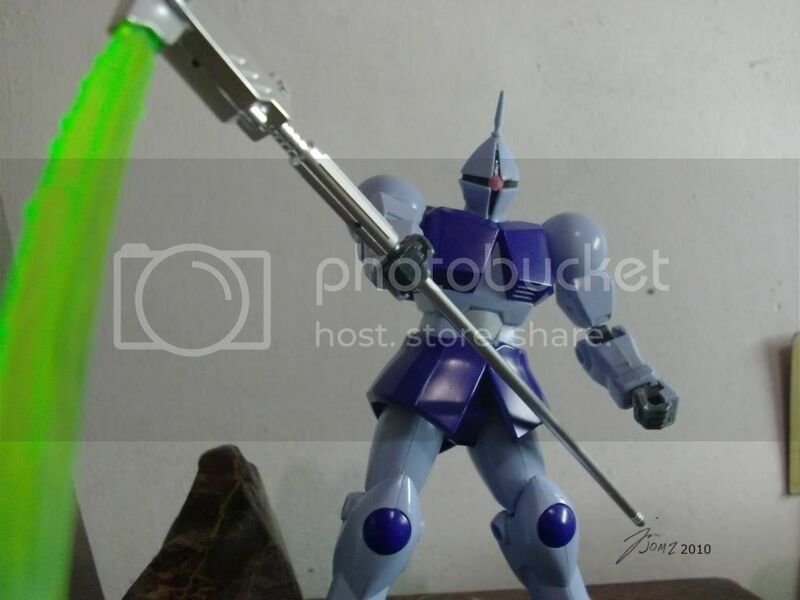 It’s a different gundam deathscythe! Everything looks cooler with a deathscythe! Unfortunately the prop was not exactly fit nor suited for the Gyan model. When I removed the scythe, the handle’s paint got scraped off a bit. I am now contemplating on trying to paint that part to at least make it more awesome, not that it is not awesome already to begin with. I am very excited to complete the Gundam Deathscythe soon. 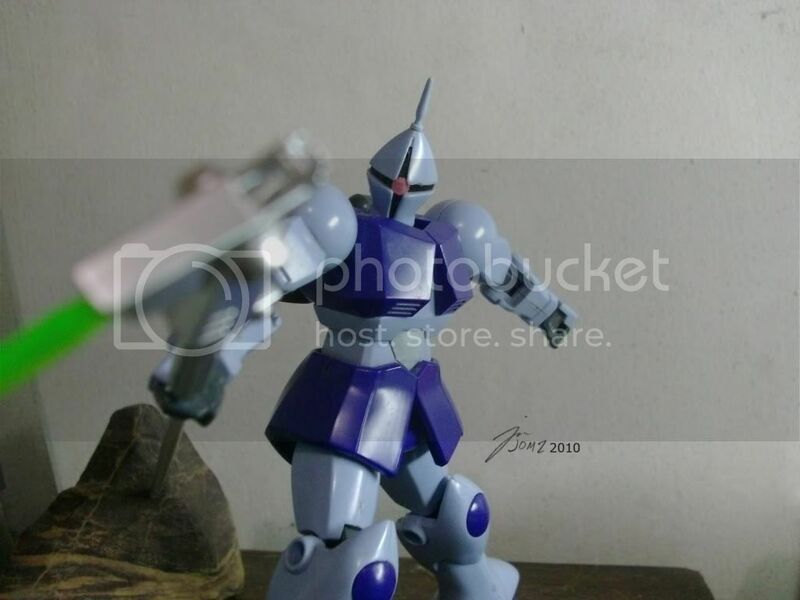 Posted in Feature.Tagged anime, deathscythe, gundam, gundam 0079, gunpla, gyan, photography, scythe, toy photography.